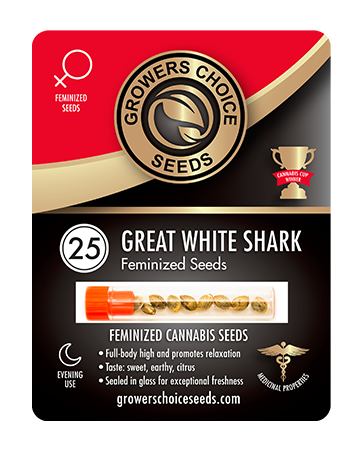 Great White Shark feminized cannabis seeds develop into flowers that offer deep relaxation, creativity, and relief from pain and stress. Though you may receive a bit of energy, this strain is best used in the evening, or during lazy days dedicated to relaxation, meditation, and de-stressing. Great White Shark can ease migraines and calm symptoms of PTSD, depression, and anxiety, and stimulate appetite in people dealing with chemotherapy or eating disorders. 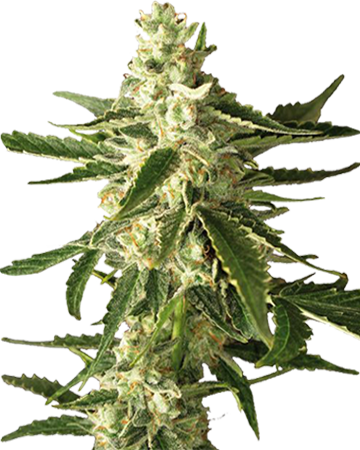 Another popular indica strain, Great White Shark feminized cannabis seeds flourish into a relaxing, mindful hybrid that traces its lineage to Super Skunk, Brazilian and Indian strains. 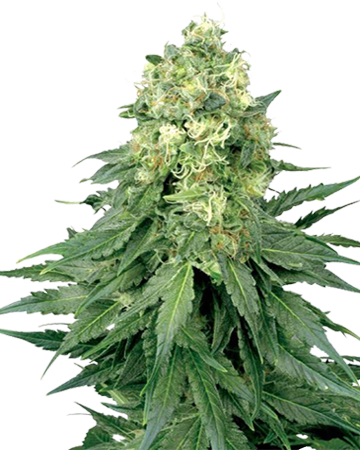 With a mid-range THC level of about 16%, our Great White Shark is the perfect choice of cannabis seed for relaxation, whether therapeutic or just for enjoyment. 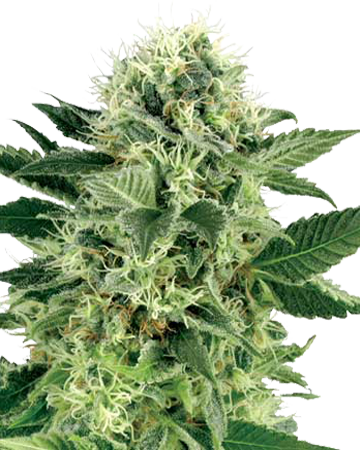 Named for the generous coating of crystal-white resin that covers its flowers and leaves, Great White Shark causes a strong buzz that comes on quickly, and lasts for some time. The 25% balance of sativa euphoria adds just enough energy to the sensation to prevent you from lapsing into total lethargy; overall, though, a deeply calming effect makes this strain a great option for evening relaxation, or days during which you plan to do little more than chill out, meditate, and pursue your creative side. 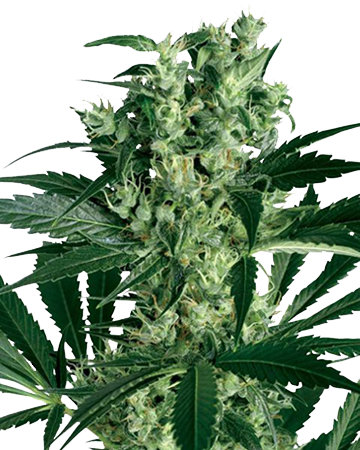 Great White Shark cannabis seeds are a suitable medical selection for people who are seeking to treat their recurring, chronic pain. The strain will boost the appetite, so keep some tasty snacks around the house, or get ready to practice some serious self control! Medically, this common side effect makes Great White Shark an excellent option for people struggling with eating disorders or undergoing chemotherapy cancer treatments. Furthermore, a gentle elevation of the mood and deep sense of relaxation can help those who are trying to lessen feelings of stress and anxiety. 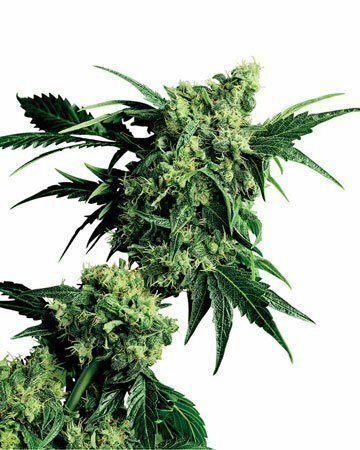 The strain has been used with success in the treatment of attention deficit disorders, PTSD, nausea, depression, and migraines. 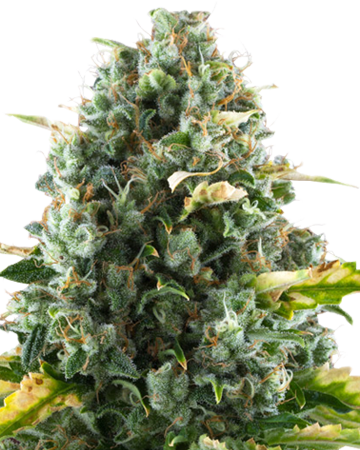 Great White Shark cannabis seeds are easy to grow, and do best in indoor soil or water hydroponic conditions, where they are known for producing a considerable amount of product over its eight to 10 week flowering period – as much as 700 grams of harvest-ready flower for each square meter of growth. 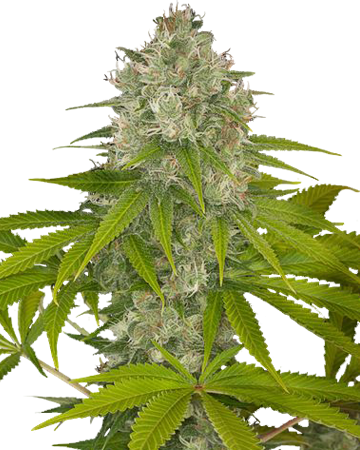 In the proper conditions, outdoor gardening is also an options, and in their natural open-air environment, Great White Shark cannabis seeds can grow to support up to 1000 grams of flower per plant. 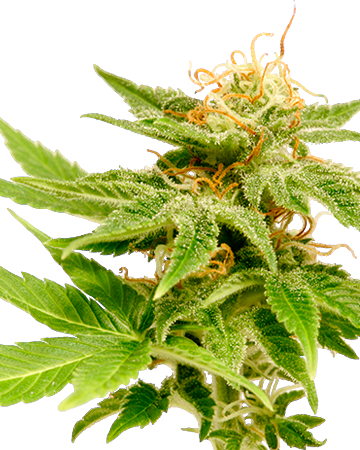 Check our our Great White Shark Feminized Cannabis article to learn even more about this healing strain. Our Great White Shark feminized cannabis seeds are a good choice for deep relaxation and creativity. A very solid bang for your buck type strain. Have been growing weed for years but first time buying seeds through GSC. What a fantastic online selection with fast delivery and excellent customer service! 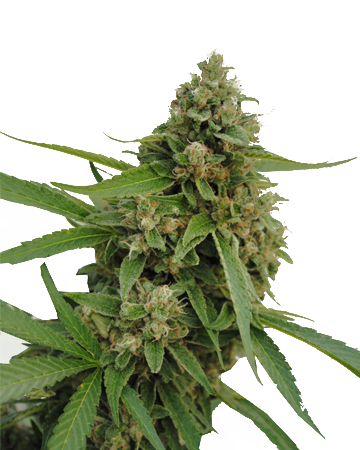 Great White is a nicely balanced indica strain, excellent for those looking to unwind at the end of a busy day. Fairly easy to cultivate and grew without any trouble in my backyard, so long as It had consistent sunlight and watering schedule. I reaped a whopping 900 grams which will last me for months! I enjoy the high, it’s very mellow and the smoke has an earthy sweetness to it. Highly recommended! This stuff gives you the best of both worlds. It’s a strong sativa and a strong indica. You’ll feel the effects of both parts pretty quickly. You’ll get a rush of calming energy without any of the jitters or nerves, just make sure not to smoke too much too fast. 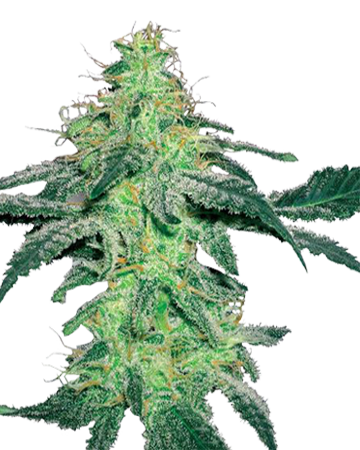 Great White is a powerful strain that can either make you get a lot of work done, or relax all day on the couch. It just depends on what day you’re smoking it or what your plans are. Highly recommend this guy! They do not call this great white shark for nothing. The high just won’t let you go. It is daaannkkk. Great for pain relief too. I found it smelled a bit like a campfire, but I grow outside in the country. I was going to try growing indoors but decided against it for no other reason than feeling like it was easier. I got mine to about 5ft. What I loved most was that these are feminized cannabis seeds, so I know exactly what I’m getting every single time. Easy to grow so far. About 2 months in and they’re getting tall and leafy. 3/3 germinated following the guide. Cant wait to see how they turn out. 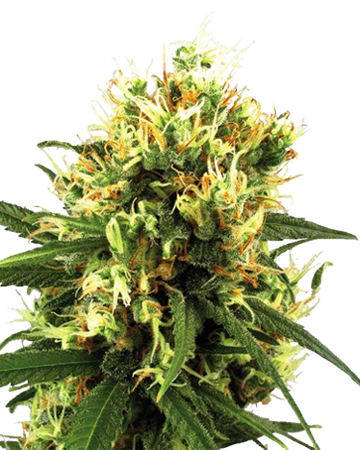 If you don’t know anything about Great White Shark, the Growers Choice version is really nice example of the strain. I’ve grown it a few times, better indoors than out so you can have control, still a long flowering time so don’t plant it if you’re impatient. My one complaint was the vial was cracked when it arrived. That’s probably not their fault, but it’s something to think about, specifically because you don’t want the atmosphere to affect the viability. 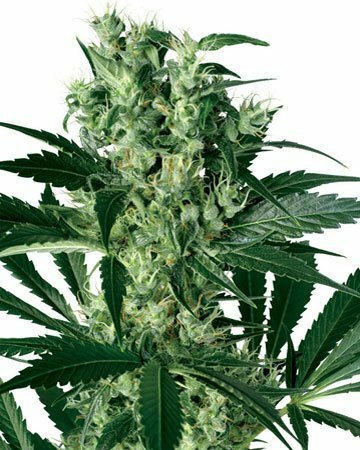 I prefer buying my cannabis seeds online because the genetics are usually more trustworthy, if it happens again I will probably order from somewhere else, only because i’m investing a lot and I want to make sure I always get my money’s worth – but I’m happy to give this company another try given the other positives. Never had great luck with buying seeds before so I decided to try online. Everything was great. Delivery in the USA came one day early. Nothing fancy grow room wise, just the basics, and still got some good plants. 4 of 5 seeds sprouted. Will definitely be buying other feminized cannabis seeds from here soon so I’m not wasting half my crops anymore. Good yield from this stuff. Surprised, because I haven’t had that when ordering from other companies online. I saw some reviews complaining their seeds didn’t germinated and admitting they didn’t follow the germination guide, but still being upset. Follow the guide. It actually works, that’s the point. If you’re missing steps, it won’t work. The company is super helpful if you call in too and ask questions. Would highly recommend this place as the best to buy feminized cannabis seeds. I followed to guide closely and all of my seeds germinated. I’ve never heard of feminized cannabis seeds before I found this place. i was just googling where to buy cannabis seeds when this site popped up in the search results. i was totally overwhelmed by the selection, but the detailed descriptions helped me narrow down my choices. I use MJ all the time, but I wanted something specific to help me relax while I’m doing yoga and really meditate. This stuff is exactly what I needed. 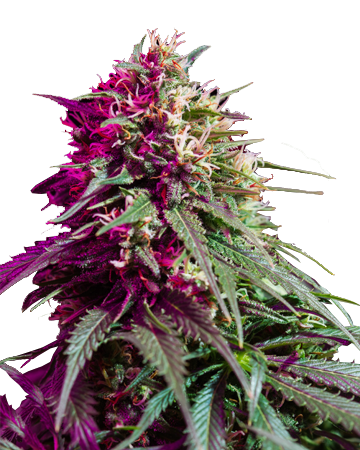 I originally bought these feminized cannabis seeds for myself. I couldn’t find this same quality when trying to buy cannabis seeds locally. I do physical labour all day, so I’m in a lot of pain afterwards, and this strain was great. I grow outside, but it held up to the natural elements. I was extremely careful to ensure they didn’t contract any diseases, but they grew healthy and perfect. I never thought a plant could be beautiful until it came time to harvest my Growers Choice Great White Shark, it’s like poetry. I like the little sativa kick it gives, but over all I use this strain when I want to chill out. 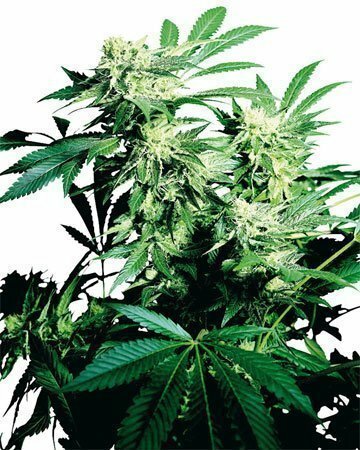 From personal experience, it’s one of the easier strains to grow, and you get a good yield if you pay attention to what you’re doing. 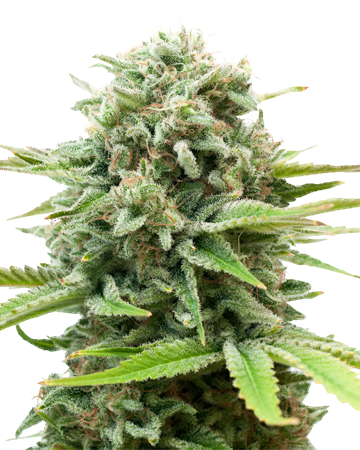 GC makes it easy with good quality and – this is awesome – feminized cannabis seeds, and you know they’re going to be fresh when they get to you because they invested in good packaging. If you want something that gives you an outrageous yield, look no further! I ordered this because I wanted something to help with depression, and this had a lot of great reviews. 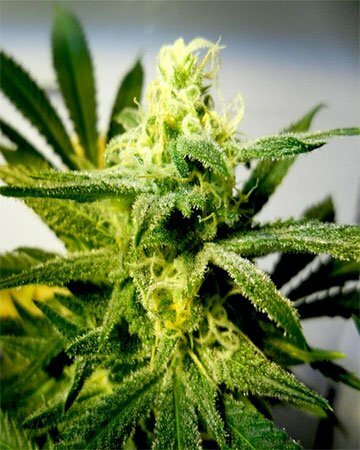 This was an easy grow with abundant results and the strain itself has been ideal for brining up my mood and giving me an appetite and helped me fall asleep easier at night. This is my new favourite and I will be back for more. Great strain and the taste was awesome, Shipping was quick as usual and amazing customer service! 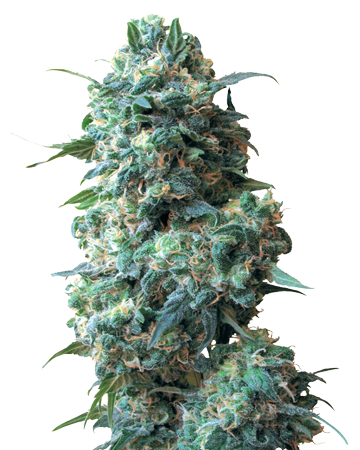 Order a package of Great White because the reviews mentioned that people tended to get a large harvest off of this one. The seeds I got sprouted without issue, and then ended up flowering beautifully. Like others said, the harvest was heavy and I was impressed by how much it yielded. High wise, Great White Shark was superb. Taste was a bit fruity and it was a dream to smoke. Just a few tokes and I could already feel the high creeping up on me, so I was impressed. My body had a solid buzz going and I melted right in to it. Highly recommend. Was drawn to this strain because of the beautiful colour of the buds, and I was so happy when my produced a big yield of beautiful buds. Sure was on the heavier side of highs, because this one knocked me down in a good way! Can imagine this strain would be great for pain or if you have insomnia, because it made me so sleepy and happy. A little goes a long way, and that’s going to keep me coming back for more. 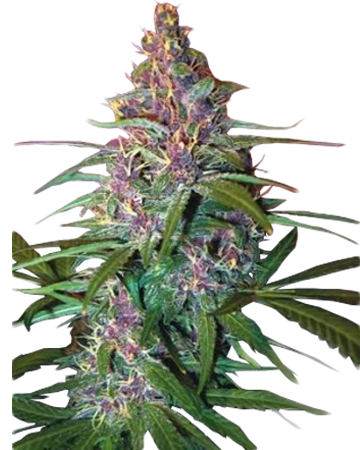 Yet another great strain, and I’m willing to bet these seeds will grow some really nice flower. I’m looking forward to sharing this harvest with a friend who deals with a lot of stress – I think it will really help her out. Right now this review is just based on the quality of the customer service and packaging – which rock – and I’ll try to comment more once I’ve grown them. I’m running 700w of LEDs on 1 plant and I produce a solid 70g. Very good high. My favorite one yet. I had done some research looking for a strain that would help me relax and unwind and decided to give Great White Shark a try. 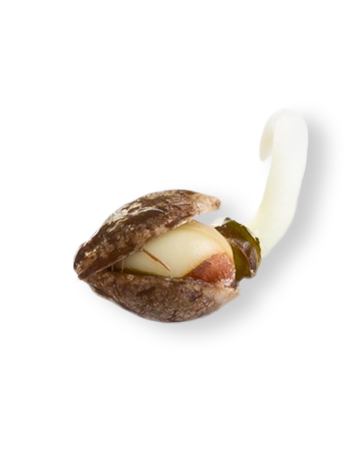 The body buzz provided exactly what I was looking for and the stress melted away. I had zero issues with the growing process and am very impressed with the purchase, would buy again. This was my favorite of the different kinds I bought, it definitely had the biggest harvest. I didn’t weigh them but probably almost double the autoflower seeds, like it says on the site. I hadn’t tried this kind before, but I like skunk so I thought I might like it and it effected my whole body and made me feel really happy, and that was after just a few puffs.